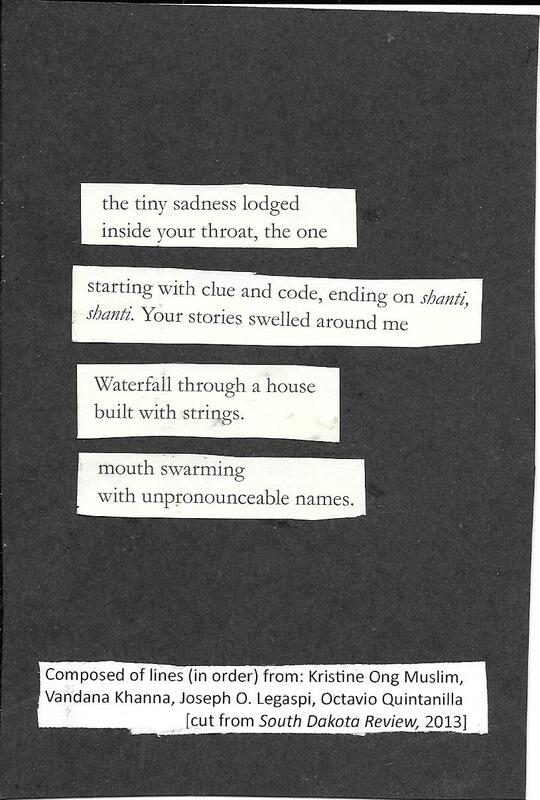 This cut up poem is based on couplets from the 2013 Triple Issue of South Dakota Review. For this one, I choose to use exclusively couplets from writers of color who appear in this issue. 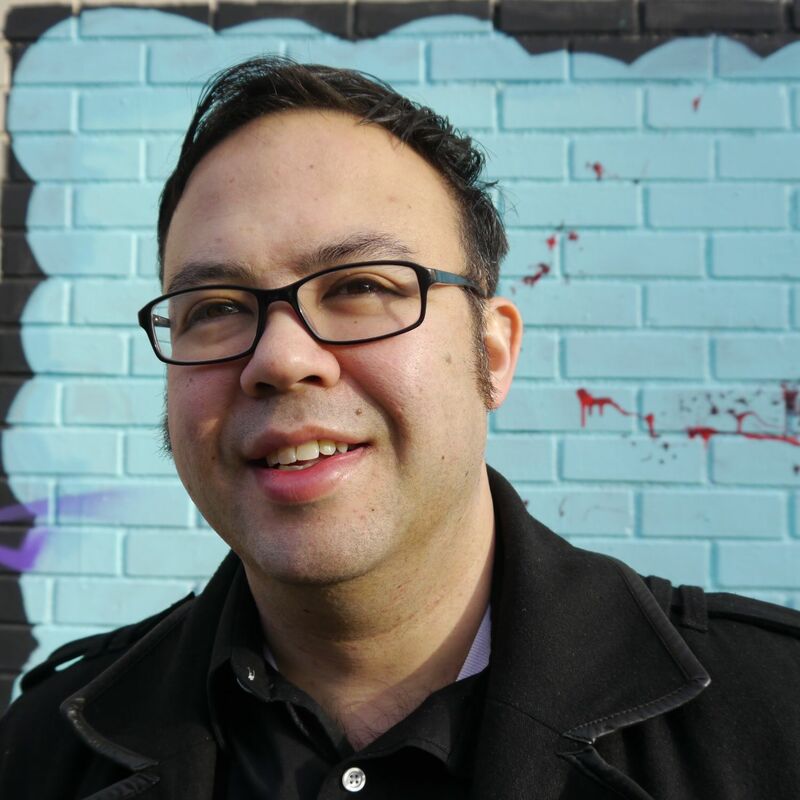 Ironically, one of the contributors in that issue is Yi-Fen Chou, the pseudonym of Michael Derrick Hudson, who regularly posed as a Chinese American writer in order (in his mind) to have a better chance of getting published. He revealed his ruse once one of his poems was accepted and published in a volume of Best American Poetry — a scandal which led to a very important discussion about identity, race, stereotypes, and representation in literary publishing. Copyright © 2019 The Hermit Poet.